Mississippis WALT Machine Inc. specializes in high-precision optical work for scientific camera assemblies. Each spring WALT Machine must meet a massive challenge: Deliver around 6000 camera housings in 2 months time, with only one CNC machine. Being able to deliver this massive order in time implies that WALT Machine Inc. President, Tommy Caughey, needs to hire a full-time CNC machine operator. By the time the new employee is fully trained and operational, the parts are almost delivered and his/her services will soon be no-longer needed. To deal with short-term rise in production volume, Tommy Caughey started to look into a robotic based solution a few years back. “I saw Universal Robots at IMTS Trade Show maybe 4 or 6 years ago and I found it interesting: a robot that does not require any extra stuff, like jigs for example. I followed up throughout the years and thought that's where we needed to go one day." One problem remained: He knew he needed either a vision system or a conveyer, to pick up the raw parts from the table. “Everyone told me that it's a very difficult process, that you need to have a person in your shop to do it”, Caughey recalls. A big plus when using a robot is the ability for it to continue production during unattended hours in the shop. This of course increases productivity since twice as many parts can be made in the same time. In June 2016, Robotiq released the Plug + Play Wrist Camera made exclusively for Universal Robots. For the entrepreneur, this was a game changer. “I didn’t need a vision expert anymore, I could do it myself. I bought the camera, and it’s super simple. 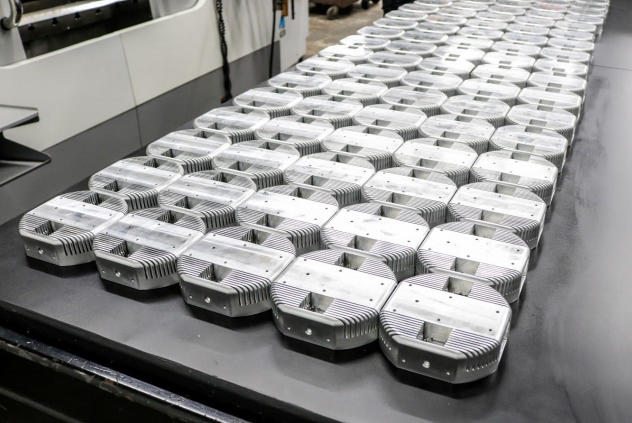 Since WALT Machine Inc. bought its robot, named Arthur, twice as many parts are being machined everyday. The CNC machining still takes the same time, but it’s the number of operational hours that make all the difference. The company was able to save half the time in production by eliminating a lot of machine idle time. The contract in question needs to be completed within two months so there is a production rush to be able to deliver all the parts on time. A huge benefit when integrating a robot in the production line is that the machine can now run non-stop in this two month period. Tommy does not need to worry about training, extra salary, or employee retention between production rushes. When things do not go as planned, Caughey relies on Insights, a monitoring software that Robotiq made for Universal Robots. "For me, the most interesting feature is certainly the alerts on the phone", he explains. "Sometimes, my CNC Machine runs unattended all night long, so if the robot stops while no-one is in the shop, we lose a lot of production time. Just a few weeks after I got Insights, I've had a text from my robot saying that it has stopped. I got back to the stop and restarted it in no time. Everytime it happens, I avoid a lot of downtime." Insights also details the nature of the stop (protective, safeguard, emergency, idle state), so the user can identify the issue faster and prevent it from happening again. For WALT Machine, SMS alerts are useful during working hours as well. "The robot runs by itself most of the time. We're a three-employee shop. If no one works near the robot and there is some noise in the factory, who knows if it's stopped? That being said, I've received alerts while I was in my office, doing paperwork! We were able to save valuable time there too." When a new day starts, Insights sends a daily email report of what Arthur has achieved in the last 24 hours. Tommy Caughey then has all the data in one place. "The number I look the most after is cycle time. I can always count how many parts were produced manually, but I love to have everything all wrapped-up together. It is all in one simple email, ready when I arrive in the morning. I got used to it quickly." WALT Machine Inc. hopes to start a new automation project in the coming years. The data provided by Insights will save many working hours when the time to justify ROI comes. "By knowing exactly what I've done everyday with the robot, I am able to calculate quickly if any potential new investment makes sense. All of this wouldn’t be possible without this first robot. Far from stealing jobs, Tommy Caughey truly believes that in 10 years, every small shop like his will have at least one robot. For him, this change happens for the same reason that so many changes happened beforehand in other industries. “No one is yelling at a contractor for using an excavator instead of hundred men with shovels, he compares. I didn’t fire anyone to do this. It just changes where the work is. Instead of having guys sitting here just putting parts in and out of the machine, they can do more quality-related stuff. They can check parts, clean, package them and even bring in more sales! And with a robot that doubles the production capacity, business opportunities are greater and orders are delivered on time. 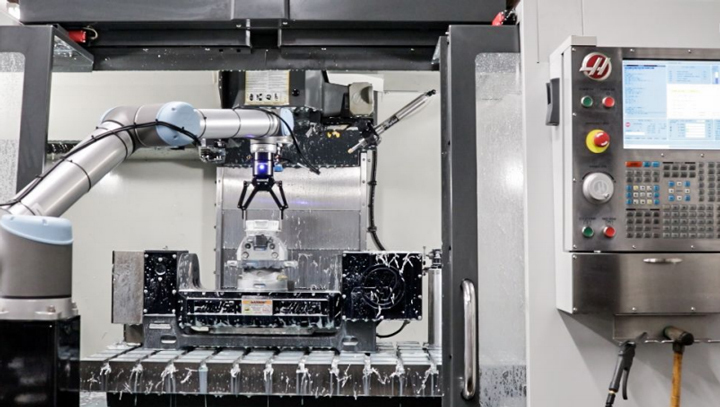 Foremost, with the satisfaction of WALT Machine’s first integration project, they see these new business opportunities as a way to scale their robotics capabilities in their shop. The next step is to put 15 to 20 of the same unmachined parts on the table within the camera’s field of view. The robot then rotates and looks over the table, takes one snapshot to see all the parts. For more accurate picking, it gets closer and takes another snapshot of the part it is about to pick. After, the robot places the part into the vice in the CNC machine. Then it sends a signal to the Haas CNC machine to press the start button. 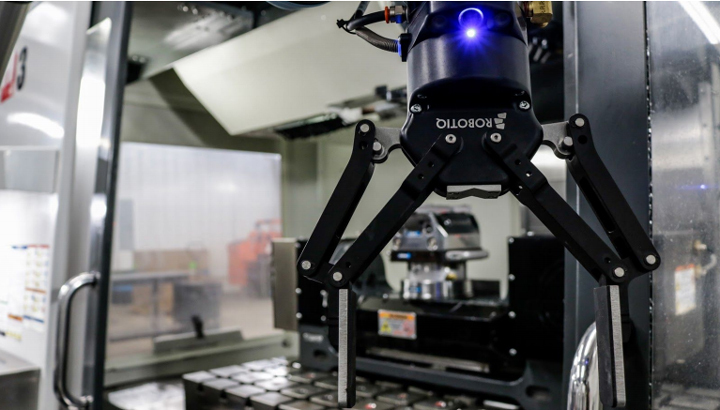 Robotiq’s Lean Robotics methodology and products enable manufacturers to deploy productive robot cells across their factory. 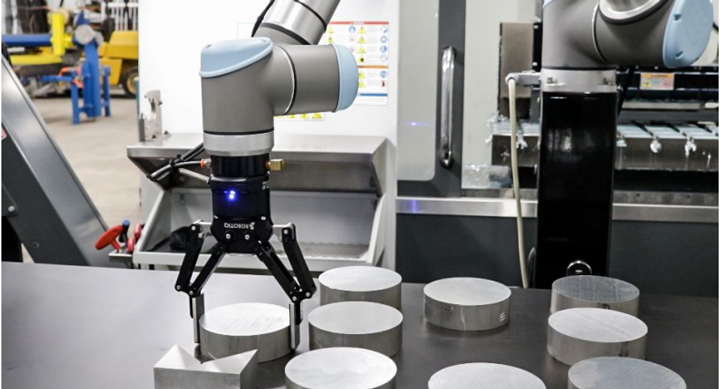 They leverage the Lean Robotics methodology for faster time to production and increased productivity from their robots.Production engineers standardize on Robotiq’s Plug + Play Components for their ease of programming, built-in integration, and adaptability to many processes. They rely on Insights and skills to accelerate robot projects and optimize robot performance once in production. Dorner's 2200 Series Precision Move Pallet Systems are ideal for assembly automation. With features such as an innovative timing belt conveyor design and industry best pallet transfers, they get your product to the exact location, at the exact time and in the exact position it needs to be. They are now available with new options such as heavy load corner modules with 150 lb. capacity and 180 degree tight transfer corners for compact loops.